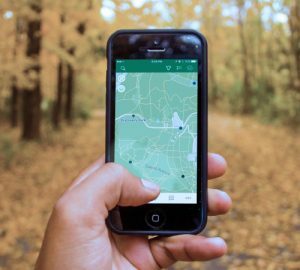 The City of Prescott provides a trails map via the Avenza Map app. After downloading the app, you can download a spatially referenced version of the map using the following link. The Mile-High Trail System contains approximately 100+ miles of trails including Rails-to-Trails projects along the former Santa Fe Railroad, the Prescott Circle Trail System, the Greenways Trails System and the Dells trails around Watson and Willow Lakes. The Prescott Circle Trail is a network of trails that encircle all of Prescott. The Greenways Trails are urban trails along Granite and Miller Creeks that run through downtown Prescott. Take a look at the video below for an overview of some of the latest trails to ride and hike in Prescott. Check out the new Dells Slickrock Trails! Check out the items below to see how Prescott trails have made the news.